Alice Beer (born 1 May 1965 in England) is a British television presenter, and was educated at the North London Collegiate School, a girls' independent school in London. A trained journalist, Beer's first job in 1987 was as a secretary on the BBC programme That's Life!. Since then she has worked her way up to being a researcher, producer on Kilroy and Gloria Live. 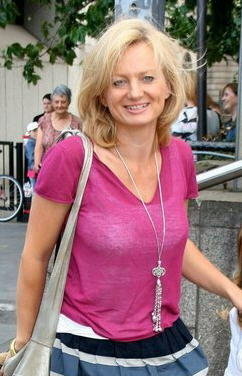 Finally from 1992 until 1999 she was co presenter on the BBC consumer programme Watchdog with Anne Robinson.After leaving Watchdog, she has led a roving reporter's life, appearing on shows such as "Healthcheck", "Face Value", "Real Rakeovers", as well as reporting for programmes such as "Holiday" and "Summer Holiday". She has also appeared as herself on "Bremner, Bird and Fortune". Between December 2004 and February 2005, she presented a promotional video for Top Up TV . The looped film ran 19 hours each day on the Top Up TV Sampler channel. The channel was replaced by Xtraview before closing altogether in September 2005.